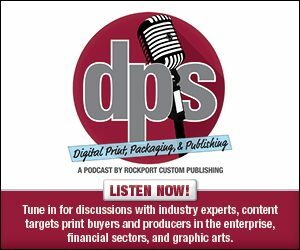 Digital presses have revolutionized the packaging industry, delivering high-impact color and creating a new paradigm for versioning and customization. Despite its innovations, digitally printed packaging has not always offered solutions across the full spectrum of sizes and quantities. With the launch of Hummingbird digital packaging solutions, Georgia-Pacific is overcoming that barrier by producing digital pre-print for a full range of customer needs, from specialty versions to everyday large runs and beyond. Hummingbird is the first packaging supplier in North America to provide 110-inch wide web capability for digital pre-print at lengths limited only by converting capability. The technology delivers high-quality, digitally printed corrugated packaging that gets products to market up to 80 percent faster than traditional methods and provides a new range of marketing and supply chain management opportunities for brands. The size, quality and speed of the press also dramatically increases the cost effectiveness of digitally printed packaging, even at high volume. “There’s no question the future of corrugated packaging is digital,” said Sergio Morales, general manager of Hummingbird. “Hummingbird’s digital inkjet printing enables even the largest brands to deliver consistent and timely marketing messages across all platforms, including their physical packaging. Innovative companies looking to create a true omni-channel customer experience have a new, unmatched tool at the ready with Hummingbird.” Hummingbird is the next evolution of Georgia-Pacific’s digital pre-print service that began with the company’s 2015 investment in the HP PageWide Web Press T400S. After experiencing strong demand and confirming the value of digital pre-print for its customers, Georgia-Pacific expanded the offering to create Hummingbird. As a result, the new digital print service combines in-house print expertise and Georgia-Pacific’s extensive convertor network with the technical capabilities of the HP PageWide Web Press T1100. The T1100 produces offset-substitutable images on pre-print that can match the width of a 110-inch corrugator. The press also enables printing of variable box sizes and designs both down and across the web at speeds of up to 600 feet per minute. Hummingbird gives brands a competitive advantage by enabling quick and easy packaging updates. With improved speed to market, seasonal promotions and other marketing messages can be delivered seamlessly across all marketing channels. Also, Hummingbird provides new solutions for retailer-specific packaging and private label, and can print the precise lines required to facilitate interactive marketing and augmented reality. In addition to marketing benefits, Hummingbird gives customers control over the packaging supply chain by allowing them to produce only what is needed, when it’s needed, enabling inventory reduction. Brands, distributors and box plants can aggregate demand by combining low-quantity orders via Hummingbird’s capability to batch print various designs and sizes in the same run with lower minimum quantities, which helps prevent obsolescence. Packaging for high-volume and specialty products can now be produced side-by-side and shipped together, potentially reducing transportation costs and streamlining logistics. “The possibilities are nearly limitless,” said Morales. “We can print half a million of the same design as quickly and easily as half a million variations. That level of flexibility makes Hummingbird a cost-effective solution for a wide range of customer applications.” Hummingbird produces quality that is comparable to lithographic print processes and can bring greater color consistency throughout the print run. One of the notable advantages of a 110-inch wide press is the ability to produce high-quality, large format packaging and pre-printed rolls with no need for lithographic or flexographic labels. For example, Hummingbird can handle everything from large format TV boxes to pumpkin bins and pallet skirts, while providing the same speed-to-market and supply chain benefits it offers for smaller packaging. With more than 40 Georgia-Pacific plants across the U.S. and relationships with other convertors, Hummingbird has the geographic coverage for efficient delivery to customers’ destinations. Hummingbird can also provide pre-printed rolls directly to plants and converters, enabling suppliers to offer customers the benefits of digitally printed packaging without the need to invest in a digital press. About Georgia-Pacific Corrugated Georgia-Pacific offers a full range of innovative, customer-focused packaging solutions that help brand owners tell their story in a way that is as unique and compelling as their product. A commitment to building a better box for customers is demonstrated through an ongoing focus on safety, sustainability and consistent quality in manufacturing high graphic and traditional corrugated packaging. Georgia-Pacific Corrugated operations across the country offer a range of products and services, including CubeLogic®, Greenshield®, Color-Box®, Litho-Corr and Brand Ready Packaging®. The company’s Innovation Institute® simulates retail and packaging environments, allowing customers to experience sustainable innovation and novel package design solutions in action.